This is both an open invitation and a call for papers for a researcher and PhD seminar on Science & Activism, held at the University of Eastern Finland, Joensuu 29-30(31) January 2019. UPDATE: the presentations of the seminar are collected here. Aim of the event is to share ideas and discuss the role of activism, in its various forms, in transformation towards sustainability. Our perspective to activism is broad. Within the context of sustainability transition, we invite papers which approach the challenges and benefits of combining activism and science, the role of environmental movements, citizen engagement in policy processes and scientific research, co-production of knowledge, analyses of the driving forces behind resistance and conflicts (e.g. environmental justice issues) etc. A key note by Maija Faehnle (CORE -project): Solving complex problems togehter – activism as challenge and opportunity for collaborative governance. We will finalize the seminar by round table discussions with World Café methodology organized by the ALL-YOUTH project. World Café methodology will be used to facilitate the discussion on youth participation in activism related to environmental conflicts. We welcome presentations from various disciplines and multiple scales, from global analyses to local case studies. We invite you to one or both days by just taking part or by presenting your research related to the themes described above. You are also welcome to join the open lectures given by our guests from Universitat Autònoma de Barcelona and a trip to Koli national park on Thursday (see the programme and titles of the lectures below). If interested in presenting, please submit your abstract (max. 250 words. Include a title, name and affiliation of the presenter) to LYY coordinator Outi Ratamäki (at outi.ratamaki(at)uef.fi) by 15 December 2018 the latest. Call for papers is open for all researchers and PhD students. Deadline for registering to the event is 15 January 2019. You should register here: https://elomake.uef.fi/lomakkeet/21213/lomake.html. Seminar is free of charge and open for all. 9.15-10.15 Mariana Walter: The Environmental Justice Atlas. A tool for activism and research. PhD Maija Faehnle is senior researcher in the Programme for Sustainable Urbanisation at Finnish Environment Institute SYKE. She has worked at the interface between science and practice in the context of the changing civil society and collaboration for sustainability. Currently she coordinates communication and societal interaction of two research consortiums, one of which is the CORE project (SRC, Academy of Finland) that studies new collaborative governance practices for solving contested societal challenges such as energy transition. Her research has addressed urban civic activism as resource for cities in the digital age, integration of ecological and experimental knowledge in planning, and multicultural aspects of collaborative practices. In her PhD on Regional Science, she developed methods for design and evaluation of collaborative urban planning. Her research interests include collaborative governance, collaborative economy, action research, self-organisation and citizen energy. PhD Mariana Walter is a postdoctoral researcher at ICTA-UAB. Walter’s research addresses extractive conflicts (mainly in Latin America), social metabolism, expert-lay knowledge interplay, social transformations and scales. She holds a Masters diploma in Environmental Studies (focusing on Ecological Economics) and has participated in research projects in Argentina (UNGS) and Europe (ALARM, CEECEC, ENGOV). Currently she is the scientific coordinator of the ACKnowl-EJ Project (Academic-Activist Co-Produced Knowledge for Environmental Justice. www.acknowlej.org) a 3 year international project funded by the ISSC. She has published her work in books and journals such as Global Environmental Change, Ecological Economics, Geoforum, Land Use Policy and Local Environment. ICTA-UAB: The Institute of Environmental Science and Technology (ICTA) is a multidisciplinary centre that promotes academic research and postgraduate education in the environmental sciences. It aims to improve our understanding of global environmental change, and the nature and causes of environmental problems. In addition, it studies policies, strategies and technologies to foster a transition to a sustainable economy. ICTA hosts the Environmental Justice Atlas (EJ Atlas). The main leaders involved are Leah Temper, Joan Martinez Alier and Daniela Del Bene. The EJ Atlas documents and catalogues social conflict around environmental issues. The EJ Atlas collects these stories of communities struggling for environmental justice from around the world. It is supported by the ENVJUST project (ERC Advanced Grant 2016-2021), and the ACKnowl-EJ (Academic-Activist Co-Production of Knowledge for Environmental Justice, 2015-2018) funded by the Transformations to Sustainability Programme. A post-graduate Research Associate Marta Conde at Universitat Pompeu Fabra and Associate Researcher in UAB. Conde holds a degree in Agricultural Engineering (UPC), masters in Environmental Science (Birkbeck College, London) and Ecological Economics (UAB). Her research looks at social reactions to the expansion of extractive industries at the commodity frontiers. The ‘extractive conflicts’ endured by developing countries are caused by the ‘cost shifting successes’ of material and energy consumption in developed economies. Using political ecology, ecological economics and political economy she analyses the drivers, strategies and discourses of resistance movements to mining. She is particularly interested in uranium mining conflicts and the socio-economic and health implications of nuclear and uranium expansion. Her latest research explores one of the strategies used by resistance movements in socio-environmental conflicts; the alliance between science and activism. Drawing from political ecology and STS, Conde proposes that scientific and local knowledge co-production can empower and give visibility to local groups and activists. Conde links her research with the fields of degrowth and environmental justice, showing how these groups are contesting successfully the imperative of endless economic growth. 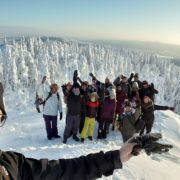 The Institute for Natural Resources, Environment and Society (LYY) is a network organization based at the University of Eastern Finland (UEF). Our network combines social and cultural research expertise for application in the analysis of the environment and natural resource uses. 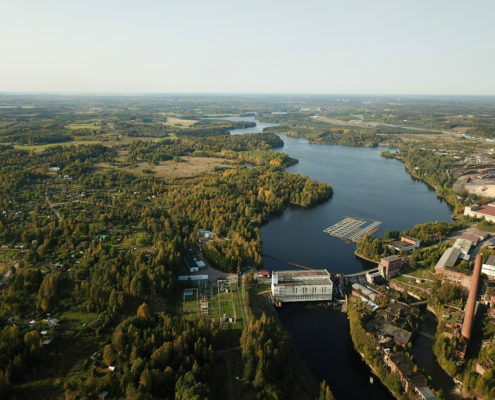 The project Collaborative remedies for fragmented societies – facilitating the collaborative turn in environmental decision-making (CORE) is funded by Strategic Research Council at the Academy of Finland. CORE studies and develops collaborative action in environmental planning and decision-making.